The Yorkshire Terrier (Yorkie) is a true and good loyal companion. 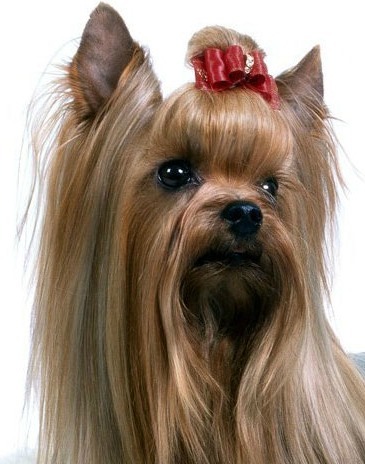 The Yorkshire Terrier originates from Great Britain. It's nickname called as "Yorkie". Early in the Victorian times, they is a very popular companion and pets, it has won the young and old favorite. These dog breeds is about 100 years of history. They was used to hunt the rats and mice. 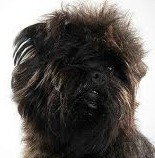 This breed was first recognized by the AKC in 1885. 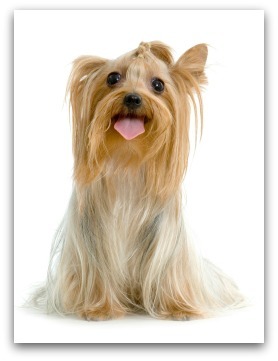 The yorkshire is a small dog breeds, they is a silky long haired , tiny, clean and is a very sweet little dog. The coat is long, silky to touch, and glossy. The coat color for Puppies are brown black and tan, coat colors come in a steal blue and tan color when it was grow up. These dog breeds is full of energetic,playful, brave, loyal and intelligent. They are extremely affectionate with their master and their own family. The Yorkie is a wonderful good companion! Training the Yorkshire Terrier are easy, they are bright and intelligent but is a little stubborn. They is a quick learner, so that the training will be easy for them. The housebreak will be difficult, but with the patience supervision, it can be accomplished. The training should be firmness and consistant. Grooming them requires a regular grooming, grooming will take longer due to their long silky hair. Ears and eys must be clean daily. Many pet owners keep the coat trimmed to short length for easy of caring. Yorkshire Terrier are a active dogs. The Yorkie is very friendly with children, and can be trusted with children. The Yorkie is a good dog for apartment life, will be fine without a yard. They likes to be taken on daily walks and likes to play games with their master.